It would be nice if there were a simple and straightforward way to determine exactly how much you need to see you through your retirement years. Most people have heard the advice to save at least 10% of their income for retirement. However, it’s not as simple as that. First, understand that your income needs might not decrease during your retirement. The farther you are from retirement, the harder it’s going to be to determine a somewhat accurate number. You also need to understand that medical costs might be very high when you finally reach retirement age. You might expect Medicare to supplement your needs here and take care of some of your healthcare costs, but that’s not something you can count on, especially considering the financial difficulties the program is experiencing. Wisdom would dictate hedging your bets and building a larger nest egg than planning to use a program that might not be around when you retire. If you’re asking how much money you will truly need to retire, you might be tempted to use an online retirement calculator. These complementary tools can offer some significant insight and give you a ballpark figure to work towards. That’s about it, though - a ballpark figure. You can’t expect a piece of software to provide predictions for your retirement needs. People’s retirement needs vary based on a significant number of factors. For instance, you might not have any employee retirement plan coverage from your company when you retire. You might have to help pay education costs for your children. You might want to travel extensively. Each of these factors has a profound impact on what you need to sock away in your retirement fund. Ideally, retirement planning should not be a matter of answering the question, “How much money will I need to retire?” Instead, it should be a question of how much you want. This is the only way to effectively prepare for your retirement years and set goals to not only have enough to meet your financial obligations but to have enough to spend on the leisure activities and luxury purchases that you want in the future. Going it alone in retirement planning may not always be a wise decision. Especially considering the potential for economic problems that can be devastating for your retirement funds, you need to work with a professional who specializes in retirement planning. He or she will be able to help you answer the question of how much money will I need to retire. 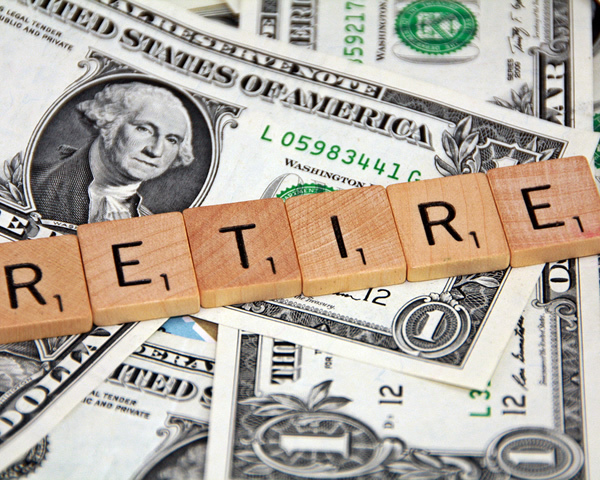 Retirement experts say people were turning 65 will need approximately $1 million for retirement. This may seem like a lot, but with life expectancies rising every year, it’s understandable. It is not wise to leave your retirement income up to chance. You have to make sure that you have the money you need to live life the way you choose to do so not end up having to go back to work just to survive when you should be enjoying your golden years for all the hard work you have already put into your life through the years. Any person that realizes that you are the one that is in complete control over the money you have for your retirement will be much better off because these are the people that are taking steps to make their future and retirement the way they want it to be. For your retirement, you will need to determine the inflation-adjusted equivalent of $1 million. Figure inflation at 3 percent a year, and see how much you’ll need. Then determine how much you’ll need to save each year at 8-10 percent return on investment, to achieve that much. Thanks to the power of compound interest, the sooner you start saving, the better. So get started today if you want to have a leisurely retirement. You’ll thank yourself in your old age!